The charming island of Alameda, California is home to a wide variety of attractions to keep you busy during your stay. There is the Alameda Museum, Pacific Pinball Museum, and the Alameda Naval Air Museum, USS Hornet Museum, and the Meyers House and Garden. There is also live theater at venues like the Altarena Playhouse, miles of beautiful beaches, a theatre cineplex, trendy restaurants, artisan distilleries, and tasting rooms, antique shops, golf, and more. 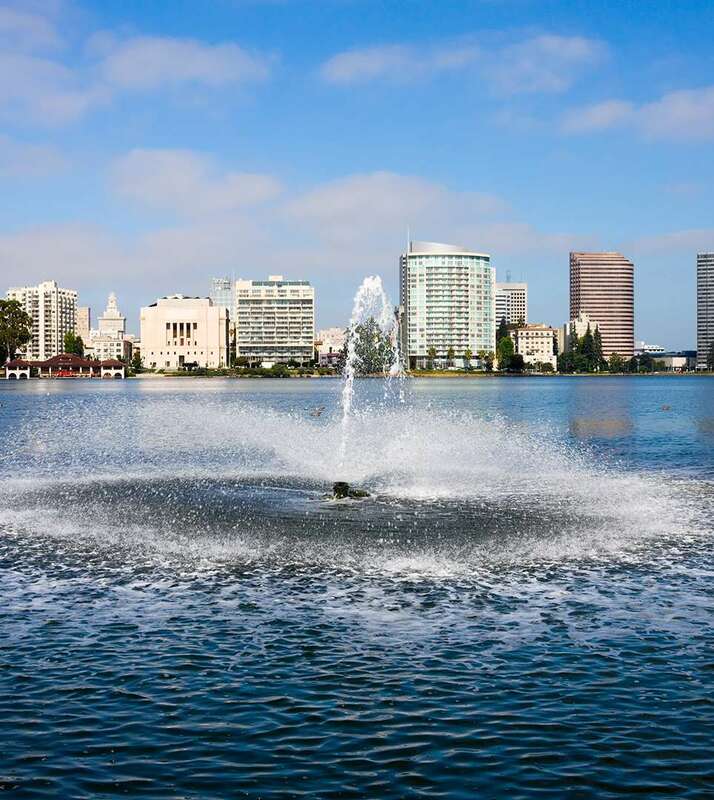 Popular tourist spots like Jack London Square and Lake Merritt are nearby. For guests who enjoy spirits, Alameda is home to St. George Spirits, an artisan distiller that has been creating single malt whiskey, rum, absinthe, and a wide variety of vodkas, liqueurs, and brandies for over 35 years. Tours of the distillery and a tasting room are available as well. The Oracle Arena is minutes from the hotel for guest who want to catch a sporting event or concert. For wine lovers, the Rock Wall Wine Company is located on the former Alameda Naval Air Base; here visitors to the area can enjoy a wide array of award-winning wines in their tasting room while taking in stunning views of San Francisco.